Successfully Added 2.4GHz 4-CH palm wireless mobile AV receiver, With 4 X 801CA to your Shopping Cart. 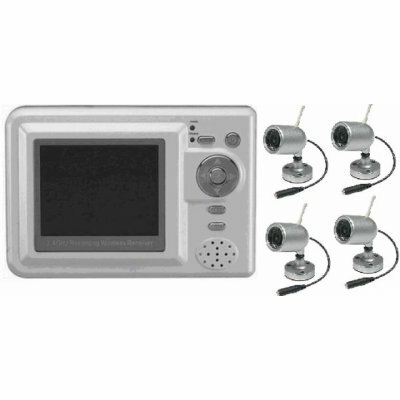 Wireless camera set: 4 cameras and video receiver. Easy to set up and all the power adapters are provided for any country..